Some students are required by an Illinois court to complete the Alive at 25 program. If this is the case, you will need to select "Court System Required," then the specific court, on the registration page. NSC Alive at 25 Driver Safety Course has been approved throughout the state of Illinois. Classes are available statewide and cost $40. National Safety Council is not responsible for drivers taking the incorrect class. Drivers will not be given a refund if the class has been completed. Please be sure you know exactly what class is required before you continue the registration process. Once registered, all fees are non-refundable. You will need your drivers license and credit card information to register. 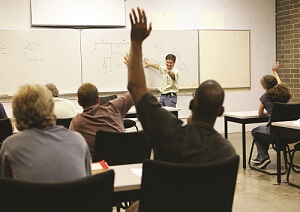 Do you have questions about the Illinois Alive at 25 Driver Safety Course?